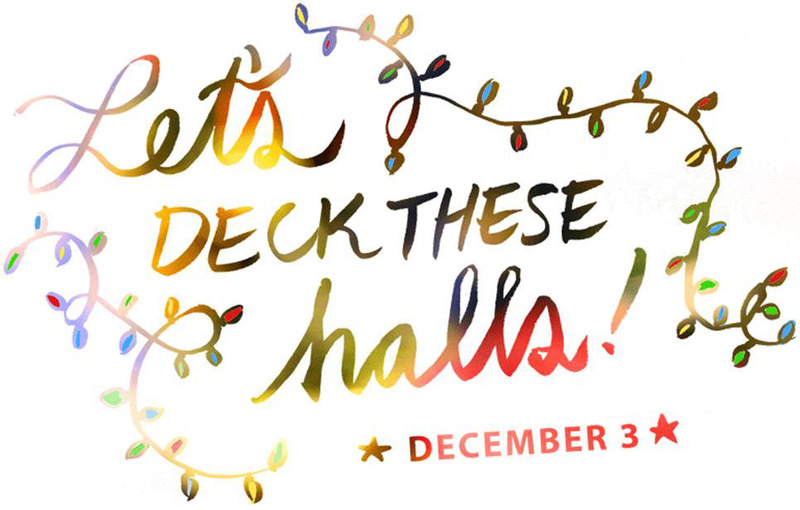 Lettering and illustration for an evite to promote a holiday office decorating day. Tasked with promoting a holiday decorating day to staff within our building, I wrote a headline and hand-lettered it, along with strings of lights to frame the composition. I filled the letters with a blurred photo of a lit up Christmas tree whose bright colours match the enthusiastic spirit of the words.